My admiration of accountants started long before my time with Intuit.® My own father achieved his dream of owning and running a CPA practice in Los Angeles, and we even worked side-by-side one year, completing over 400 tax returns in just a few months! My father took great pride in his quickness and accuracy on his ten-key, but he had so much more to offer than punching numbers into a system. He had expertise that could help clients succeed, but he was, instead, spending time manually entering numbers to beat a deadline. Consider tax preparation itself. You know first hand that most tax preparers enter data for accounts and balances manually into their tax application – data that already exists in nearly the same form in the books. In fact, over 85% of practitioners go through this manual process! As accepted as that practice may be to some, think of the time you spend on manual data entry that could be spent serving more clients, solving bigger problems for your clients, or even getting home to your family and dog on time. In analyzing the end-to-end process that practitioners go through, we found that the average time spent on a business tax return – from the time accountants are given the books at year-end to the time they’re ready to prepare a tax return – was 5.3 hours and reached as high as 22 hours! That time is spent hunting and pecking for reclassifications, adjustments, tax-only treatments of the balances and manually keying those same numbers into their tax application. The vision behind cloud computing is that software makers can expose key data at the right time to speed the process of review, all the documentation generated can be saved and stored in one place, and manual data entry, with its attendant time waste and inaccuracies, should never have to happen. We built Trial Balance onto the QuickBooks Online platform so that when you’re reviewing the year-end data, you have one-click access to all the detail you need. No imports or exports, no bobble heading from one application to another, and no double entry. At the top of the screen is the Activity Timeline – this feature alerts you to any changes that might have been made, by you or the client, since the last time you accessed Trial Balance. We show you YOY variances in the book activity to speed the process of identifying misclassification opportunities or adjustments needed. All adjustments and reclassification activity is captured in your Trial Balance view and stays there as a record of your activities. Create notes and attach documents to individual accounts as Workpapers. Once you have completed review for an account, check the box and we automatically stamp it with the user name and date. Trial Balance is only accessible to you – the accountant. As a result, all the work you have performed on behalf of your client is preserved and viewable only by you or members of your firm. That includes notes, attachments and the Trial Balance worksheet itself. It’s all in one place, too – one login gets you all the work papers and data you generated in your review. I often hear practitioners say they really like keying the tax data in manually. It’s comfortable, they often catch things they didn’t see before and it’s a way to double-check the data. Besides, when they key it in, they know exactly where they put the numbers. Sound familiar? Stop and think for a moment … what if there was a better way that was accurate and helped you save time? Trial Balance enables you to do this with the “Post to tax return” button. Trial Balance has already pre-mapped most of the accounts for you from QuickBooks Online Accountant to an Intuit Tax Online form. You can easily assign unmapped accounts, edit already-mapped ones or even choose to unmap accounts (like Retained Earnings). Once you’ve confirmed all the mappings are in order, one click of a button launches Intuit Tax Online, an Intuit product that was made to work beautifully with QBOA. Intuit Tax Online launched in 2009 from the same folks that developed Lacerte® and ProSeries,® and they have been hard at work to perfect an already robust tax filing solution. To show you just how integrated Intuit Tax Online actually is, if you have a prior-year return for your client, we will pro forma your prior year ending balances and auto-populate them in your newly created tax return! 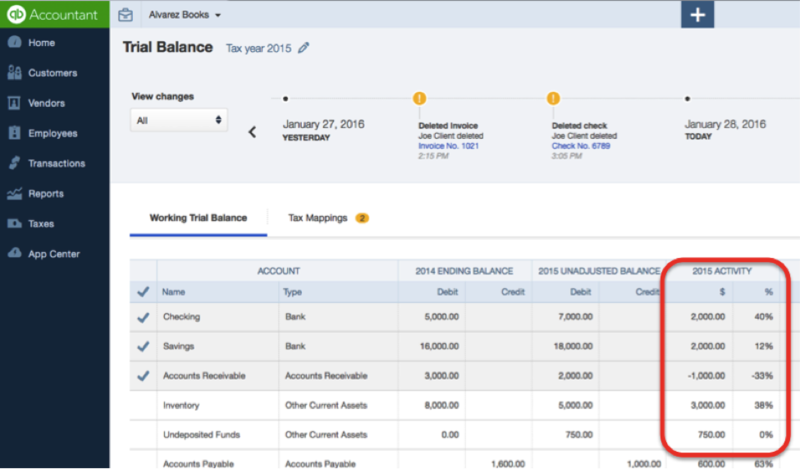 Trial Balance is available now, and it’s free to all QuickBooks Online Accountant customers – you can access it from the QuickBooks Online Accountant Client Dashboard and try it now for 2014 returns. Try out this new functionality; it was designed by practitioners just like you, working with technical experts like us, in the cloud. If you still have a couple Tax Year 2014 returns to do, you can file a few of them for free using Intuit Tax Online. I invite you to consider a better way: leave the comfort of data entry behind and use the knowledge you went to school for and worked in the industry for years for, in order to be your clients’ trusted advisor and make a difference. Automation is ultimately irresistible … I hope you will agree. P.S. – Take a look at the quick overview video we created to introduce Trial Balance. 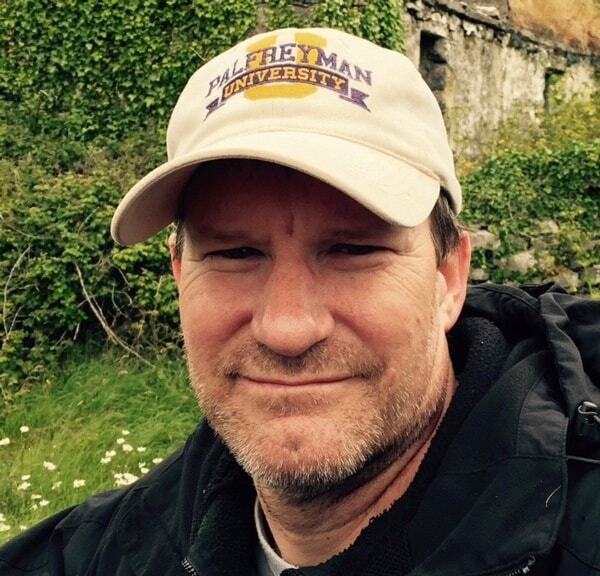 Tom Palfreyman is a product line manager with Intuit.